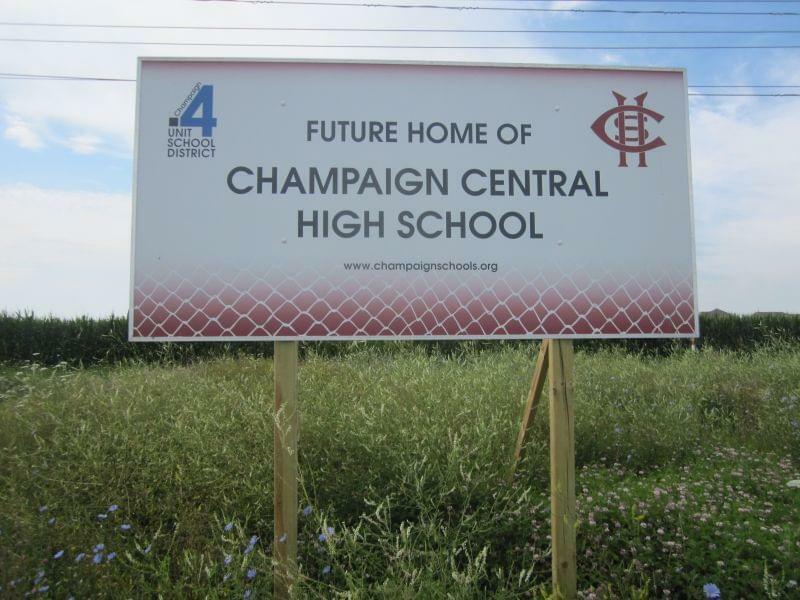 A sign announcing the future site of Champaign Central High School, seen from Olympian Drive on the north edge of Champaign. 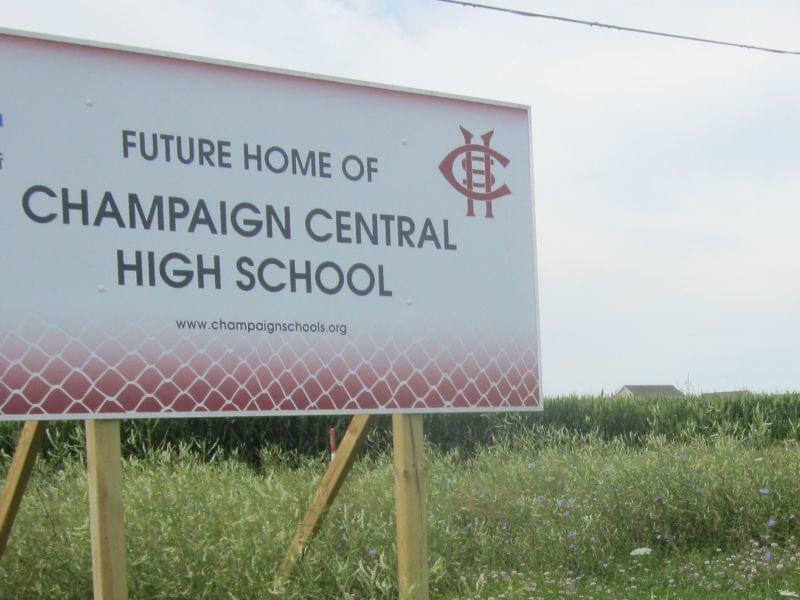 A new group is fighting a Champaign Unit Four school bond referendum that would move Central High School to the north edge of the city. Keep Central Central was planning to announce itself with a news conference on Saturday, Jan. 31st. 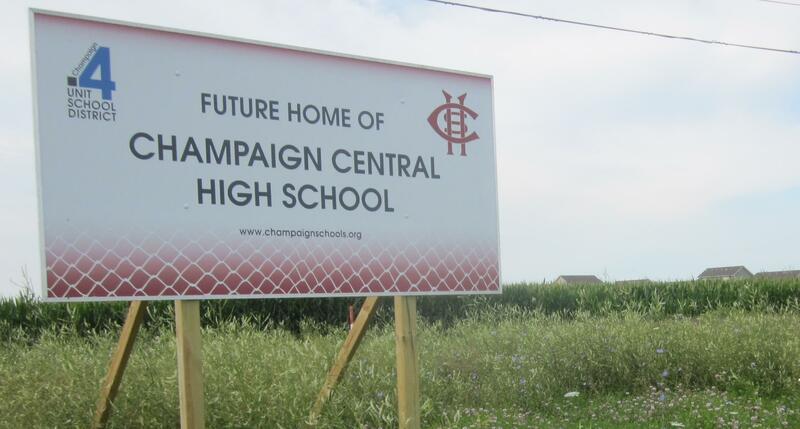 Its organizers say they support building a new school --- but will campaign against the bond referendum, because of the Champaign school district’s plans to move Central High School to a new site on Interstate Drive. Spokesman Alan Nudo says they're not advocating any specific site. But he says the district's proposed location to the north flies against a long-term trend which places the center of Unit Four’s student population increasingly south. "We want a school board that will use some common sense and logic to look at these demographics", said Nudo, "and make sure that we work with the Consent Decree and make sure that we have a number of locations that will service all students." The Consent Decree was Unit Four's agreement to provide equal education services to minority students to avoid a federal civil rights lawsuit. While no longer in effect, the district is committed to policies that continue its goals. Nudo, a businessman and former Champaign County Board member, says moving the high school to Interstate Drive would drive up transportation costs --- both for the school district, and for families on tight budgets. For example, Nudo argues the north-side location would make things tough for a student whose parents have just one car. Unit Four voters rejected a similar bond referendum last November. It would also pay for renovations at the district’s Centennial high school. The new version on the April 7th ballot adds proposed renovations at Dr. Howard Elementary School, and specific renovations for the re-use of the present Central High School building. 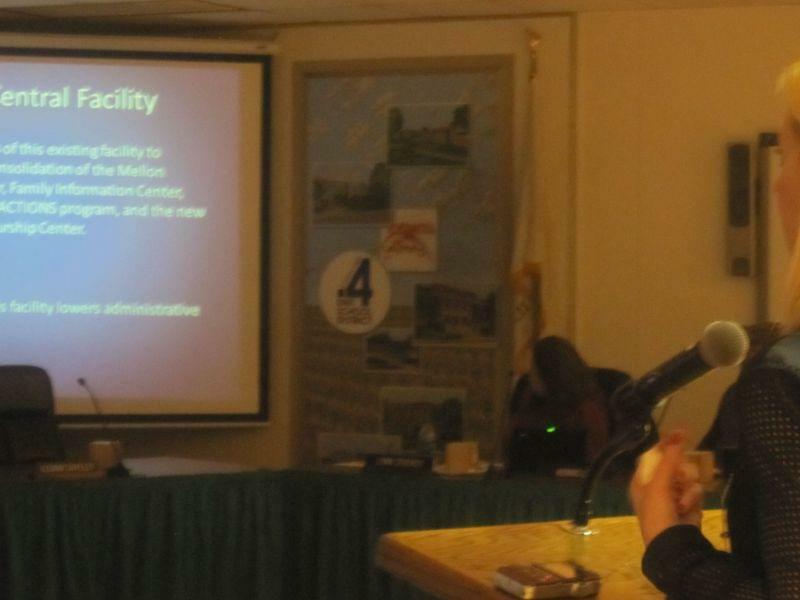 Unit Four officials have argued that while the Interstate Drive location is not perfect, it is the only viable location for a new high school. Opponents have brought up various alternative proposals. 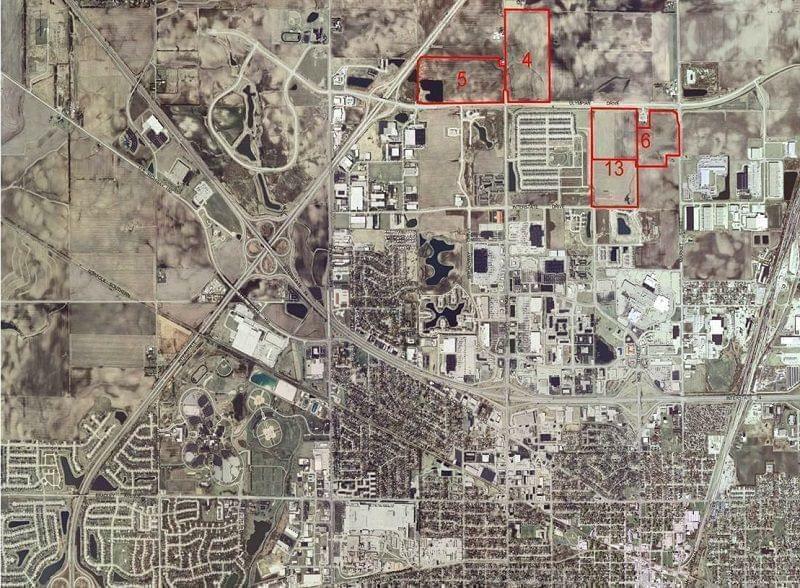 They include combining land parcels to build at or near the present Champaign Central High School site, building at Spalding Park or Dodds Park, and in the Beardsley Park neighborhood. Unit Four officials contend that the sites are either too expensive, too small or unavailable. The referendum has becoming an issue among candidates for the Unit Four school board, with some of them critical of the Interstate Drive location. Nudo says while some candidates agree with Keep Central Central’s opposition to the site, the group is not endorsing any specific candidates.